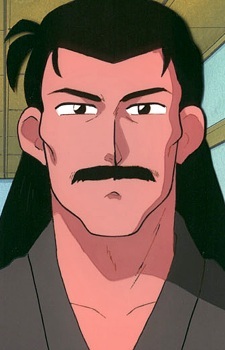 Soun is the head of the Tendou household and one of the two families to practice Anything Goes Martial Arts. He's a widower, left to single-handedly take care of his three daughters. He has a large house that is occasionally in need of repairs due to the fights that take place there. While he owns his own dojo, students have not been explicitly shown. Community representatives frequently approach him when they have problems with unusual phenomena, so this may provide some of it, and he has rented out the dojo for social meetings. However he is shown to be quite careful with the expenses and gets upset when Nabiki spends his savings on expensive gifts, or when Ranma throws the dinner on the floor. In the anime, he spends most of his time playing Shogi with his old training partner Genma. Soun is eager for his daughter to say she loves Ranma, or the other way around, to continue the legacy of his school. He'll start announcing wedding plans if Ranma and Akane seem romantically involved. Soun is able to manifest himself as a ghostly, floating oni head, whenever he is upset, and often cries "Oh, the humanity!" in the anime. He generally assumes most incidents are Ranma's fault. He's shown as extremely protective of his children, and becomes sad if their affection is in doubt. Miss Hinako is attracted to him, but he is very loyal to his dead wife and visits her grave in memorial.